A Mortgage in Principle is an indication of how much a lender is prepared to lend you and on what terms, taking into consideration your affordability. Your Mortgage Adviser works out your affordability by carrying out a Mortgage Market Review with you. How do you benefit from having a Mortgage in Principle? Many first time buyers end up being disappointed because they left sorting out their mortgage too late. They didn’t have a lender in the wings and they didn’t understand their affordability. If you find your property and you make an offer without a mortgage in principle then clearly the seller is less likely to take you seriously. The person selling their property, will often go with an offer where the buyer clearly indicates that they have a lender in place and that the offer price is within their purchase budget. It provides the property seller with peace of mind knowing they are dealing with someone who is serious about buying a property and that they are backed by a potential lender with funds in place. It’s important to get your credit history and your credit report in order before you apply for a mortgage, as it will affect the amount of money a lender is willing to lend you. to get everything in order, it’s worth spending some time just your credit file with the different credit reference agencies and just make sure everything is as it should be and that you have no adverse black marks or defaults on your credit. 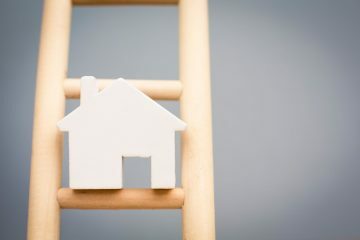 When you get your Mortgage in Principle you have made a giant leap to becoming a homebuyer – You will feel good – Walk tall! A mortgage in principle literally sets the home buyer journey ready and marks your intentions to buy your first property, with all the property industry professionals. You have done your homework, considered the best buy mortgage rates with your mortgage adviser and have the knowledge and understanding on what you can afford. 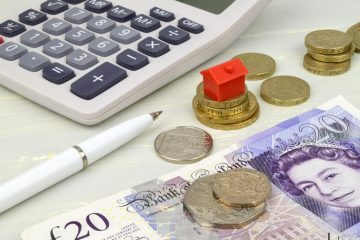 You will also know who will lend you the money, how much they will lend you and what exactly you have to work with in terms of your property budget.